This is the only vodka in the world which is made from pure milk! 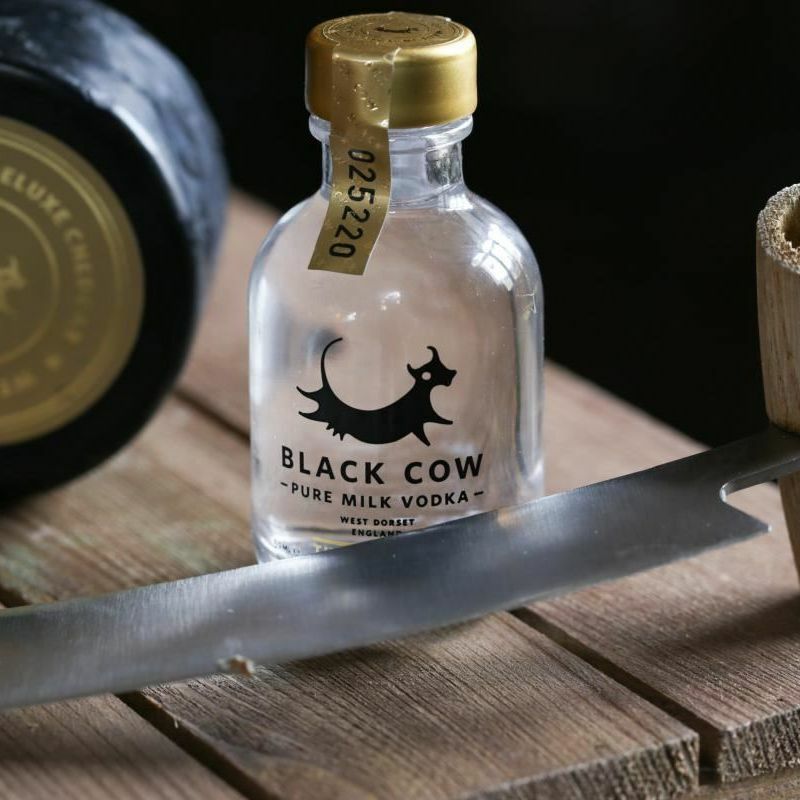 Black Cow in West Dorset produce this premium Pure Milk Vodka entirely from the milk of their grass grazed cows and nothing else. Milk is separated into curds and whey, then the curds are used to make cheese, while the whey is fermented into a beer using a special yeast. This milk beer is then distilled and treated to Black Cow's secret blending process, after which the vodka is triple filtered and finished, before being hand bottled. A delicious and truly unique spirit, it has a wonderful creamy texture and is extremely smooth and well-rounded. Black Cow Pure Milk Vodka is easily sipped at room temperature, or is perfect in any long drink or cocktail.